(Newser) – A man having dinner with his 5-year-old daughter on his lap was fatally stabbed in what appears to have been a random, unprovoked attack, police in California say. 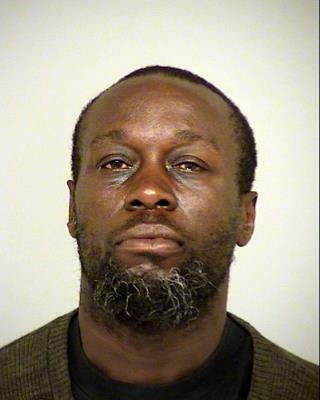 Homeless man Jamal Jackson, 49, was arrested and charged with premeditated first-degree murder after the attack on 35-year-old Anthony Mele at a seaside restaurant in Ventura, the Washington Post reports. Mele, who died after being taken off life support Thursday, was dining with his wife and daughter at the Aloha Steakhouse when Jackson walked up to the table and stabbed him in the neck, police say. The girl wasn't harmed. Jackson, a convicted felon, was arrested after customers and restaurant employees chased him to the beach. You can start with yourself dad. Why was he homeless? Mental illness? RIP Sir. My heart breaks for the child sitting on her daddy's lap, that is going to leave a lifetime scar. As a society, we are all paying a very high price to do this to our most vulnerable people. Mr. Mele and his family are the latest example of how dear that price is. The same can be said of his attacker. Are many homeless people roaming our streets mentally ill, or is our society crazy for leaving them there?